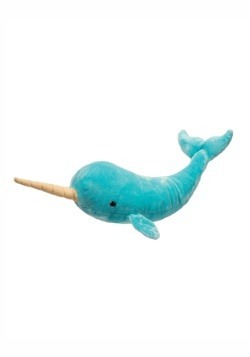 Narwhals are such charming aquatic creatures, it's hard to believe they even exist in the wild. 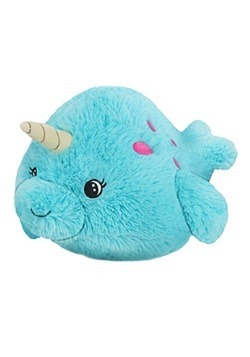 An enthralling mix between a beluga whale and a mythical unicorn, the narwhal is almost too magical (and too cute) to be true, which is why we're campaigning for narwhals to be the new Christmas mascot! 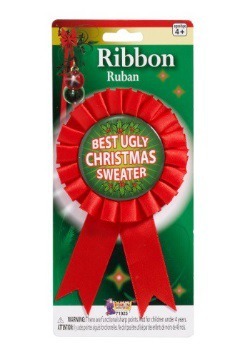 The holiday season is the most magical time of the year so this change makes perfect sense. 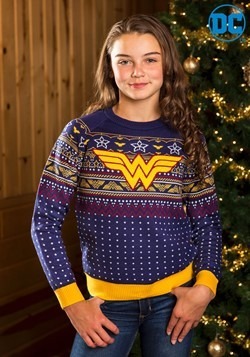 From seeing the twinkle in a child's eye when opening a present to receiving a card from an old friend, these are just a few examples of holiday magic. 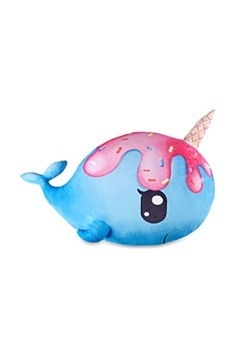 Sorry Rudolph, but we think it's time to share the Christmas spotlight with the merriest underwater mammal in existence, the narwhal! 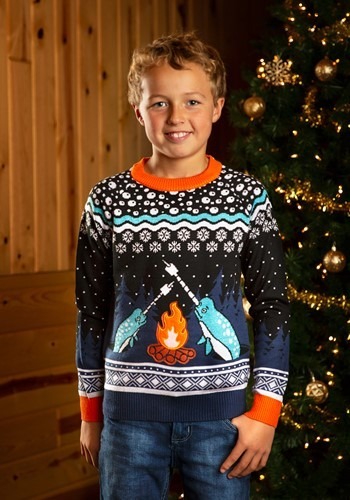 Our exclusive child narwhal ugly Christmas sweater is our attempt to put the above-mentioned plan into motion. 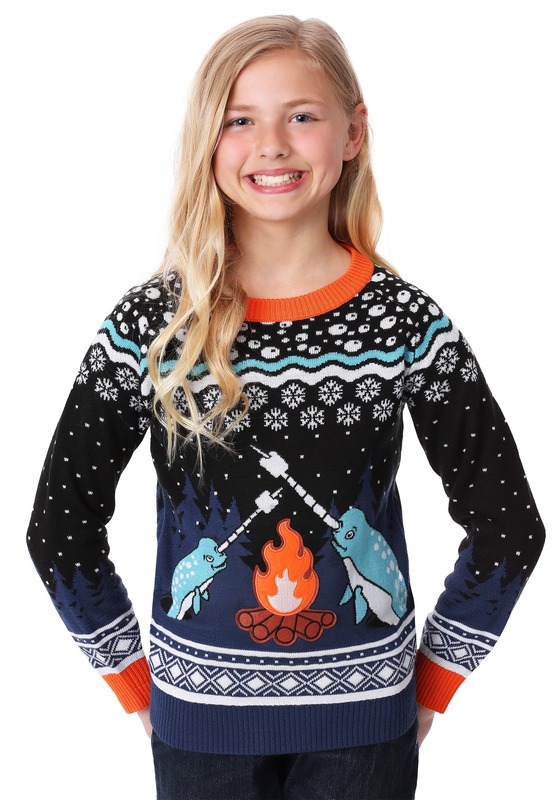 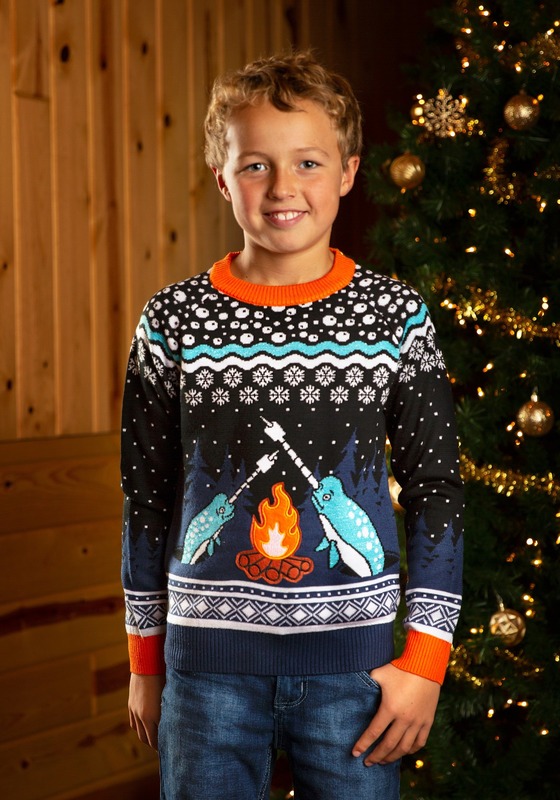 The Made by Us garment features an embroidered applique of two narwhals roasting marshmallows over a burning fire, using their magnificent horns as makeshift skewers. 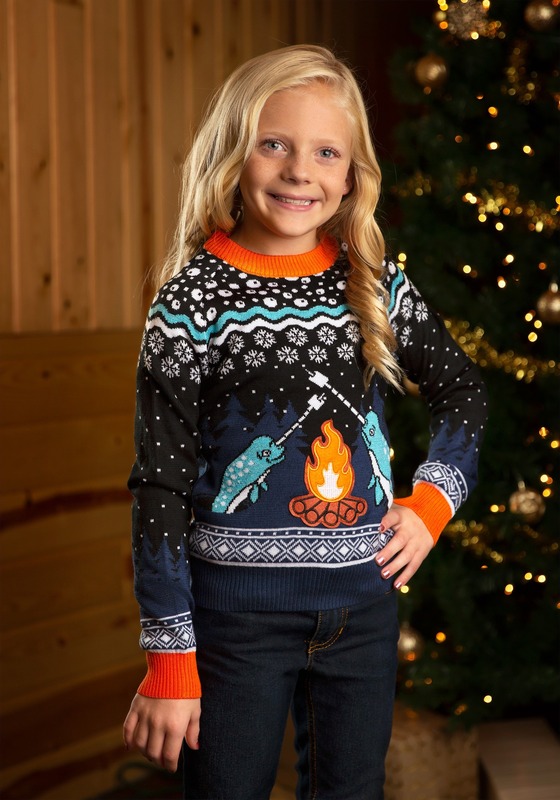 The pull-on garment for both boys and girls is knitted from fine 12-gauge yarn to capture all the intricate details around the neckline. 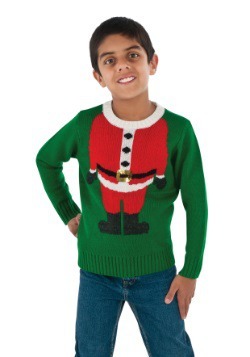 Finally, kids love the comfortable rib-knit trim at the neck, waistline and cuffs. 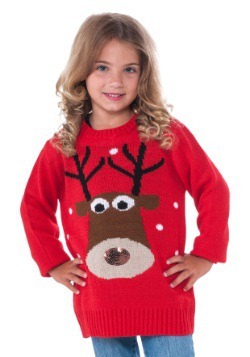 It's ideal to wear for pictures on Christmas morning and to the holiday recital at school.